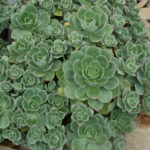 Aeonium haworthii Salm-Dyck ex Webb & Berthel. 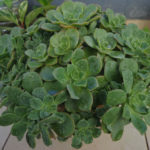 Aeonium haworthii is a durable winter growing freely branching succulent shrub, to 24 inches (60 cm) tall with and equal spread. On its many branches are borne 3 to 4 inch wide rosettes of bluish-green leaves that are keeled on the lower surface and often tinged red along the ciliate margins. 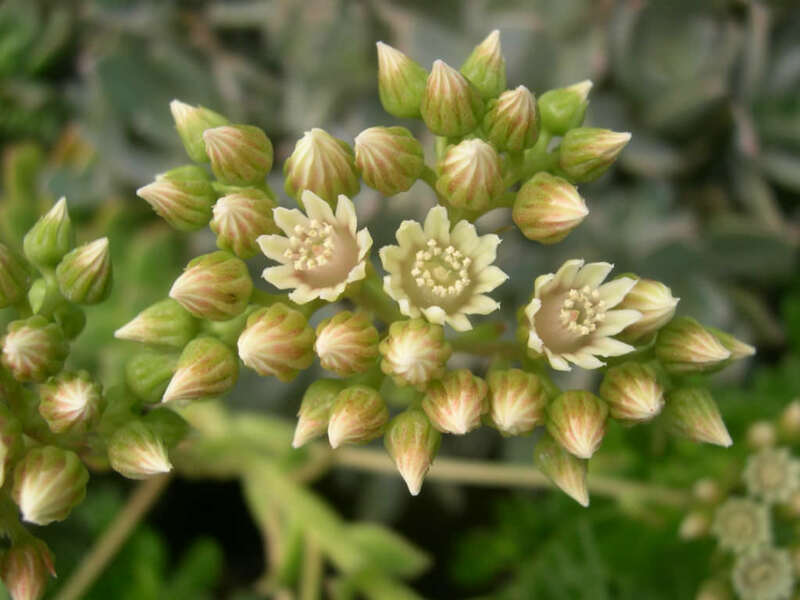 The flowers, which appear in late spring, rise above the foliage in a branched inflorescence and are very pale yellow to nearly white that are sometimes tinged pink. Aeoniums do not like really hot or dry weather. They may go dormant in summer and do not require any water, except in very dry conditions. In extreme heat, their leaves will curl, to prevent excessive water loss. Growing them in moist shade will keep them growing, but their true growth season is winter to spring, when temperatures are cool (65–75˚F / 18–24˚C) and damp. In the winter, water whenever the soil has dried out. Test by poking your finger down into the soil an inch or two. 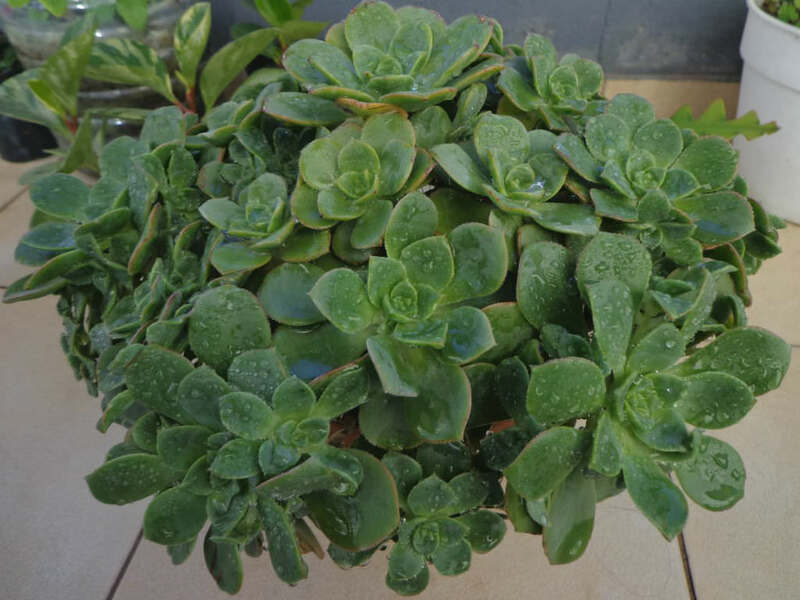 Too much moisture or allowing them to sit in wet soil will cause root rot… – See more at: How to Grow and Care for Aeonium. 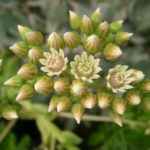 Propagate Aeoniums by stem cuttings, except for unbranched species which die after flowering and are propagated from seed. Take cuttings when the plant is actively growing, usually fall in USDA zones 9 through 11. 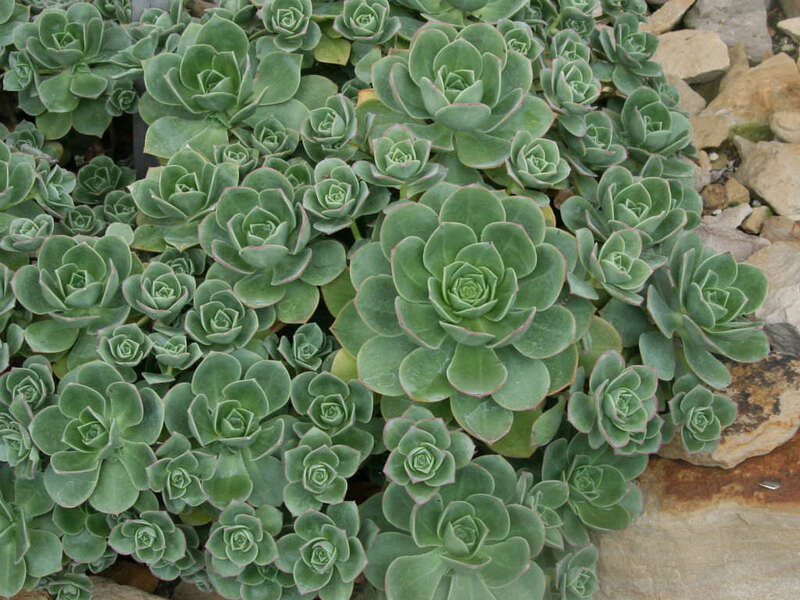 Aeoniums go dormant in summer; cuttings taken while plants are dormant don’t root. Each leaf rosette dies after it blooms…. 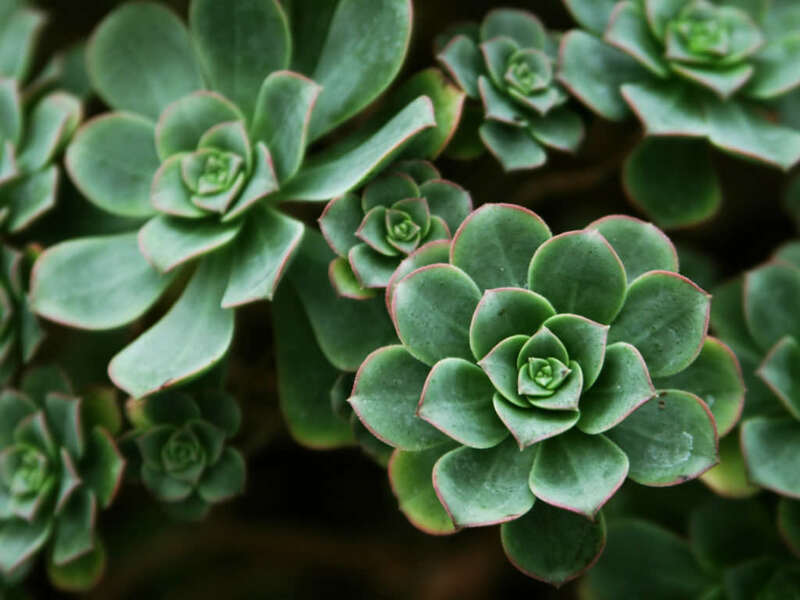 – See more at: How to Propagate Aeonium.